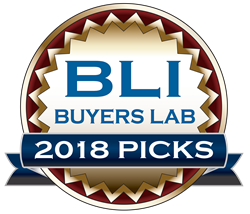 Keypoint Intelligence - Buyers Lab (BLI) today announced the winners of its coveted Winter 2018 Pick and Outstanding Achievement in Innovation awards in the Scanner category. Keypoint Intelligence - Buyers Lab (BLI), the world’s leading independent provider of testing services and analytical information to the document imaging industry, today announced the winners of its coveted Winter 2018 Pick and Outstanding Achievement in Innovation awards in the Scanner category, with the honors going to standout solutions from Alaris (a Kodak Alaris business), Canon, Epson, Fujitsu, and Panasonic. The Alaris S2000 Series was recognized for its intelligent, automated features that help businesses convert their paper-based processes to digital form. “With the S2000 Series, users can easily integrate paper-based information into digital repositories, business process optimization solutions, and big data and analytics platforms, or share it with others,” said Joe Ellerman, Manager of Lab Operations for BLI. The Kodak i3300 Scanner provides businesses with reliable light production scanning. “The i3300 was an excellent performer, delivering fast scanning speeds, robust media handling and batch processing, and a smart feature set built to help accelerate scanning workflows,” said Lee Davis, Editor of Scanners/Software Evaluation for BLI. Keypoint Intelligence recognized the Alaris Passport Flatbed Accessory for its innovative approach to scanning passports and other delicate documents. “Since the Alaris Passport Flatbed Accessory can handle exception documents as well as passports, it makes perfect sense for customers who don’t want to invest in a dedicated passport scanner that might see only occasional use,” said Jamie Bsales, Director of Workflow Solutions for Keypoint Intelligence. The Canon imageFORMULA DR-M260 combines fast and reliable document scanning with an easy user experience and impressive built-in image enhancement features to help workgroups convert their paper-based processes to digital form. “The Canon imageFORMULA DR-M260 offers some impressive media handling capabilities to keep workers moving. Sensors in the paper path and ejection sites reduce downtime and rescans and ensure that documents aren’t damaged,” noted Ellerman. Keypoint Intelligence analysts were very impressed with the Epson WorkForce DS-320’s portability and versatility. “The Epson WorkForce DS-320 is fast and powerful enough to serve as a low-volume desktop scanner, but compact and lightweight enough to bring on the road,” said Davis. The analysts at Keypoint Intelligence were impressed with how easy it was to capture paper-based information using the ScanSnap N7100 network scanner. “Users can create custom preconfigured scan profiles to streamline frequently recurring scan chores, and personalize the ScanSnap N7100’s interface so that it displays features and functionalities they use the most,” noted Bsales. The Panasonic KV-SM110 Network Scanner Solution received an Outstanding Achievement in Innovation award for its unique ability to convert the company’s USB-connected desktop scanners into network scanners. “Thanks to the KV-SSM100, businesses can replace multiple USB-connected desktop scanners with a single device, rather than purchasing a costly new network scanner,” said Davis.